YUM! Will try this for sure. Can't wait! Interesting! I have everything but the flax--do you think almond meal would work the same? nice! I just tried an eggplant pizza crust recipe over the weekend and it was sooo good, way better than my last attempt (highly almond meal based). It didn't use a lot of cheese either, just half a cup parmesan or a quarter cup depending on what you like. You could also sub the cheese for flax meal in this particulr recipe. Me and my boyfriend are making it again this weekend, the eggplant flavour added something great to the overall flavour of the pizza. I have heard of other recipes using zuchini as well, but I think I will stick with the eggplant :) I want to try your cauliflower recipe too! 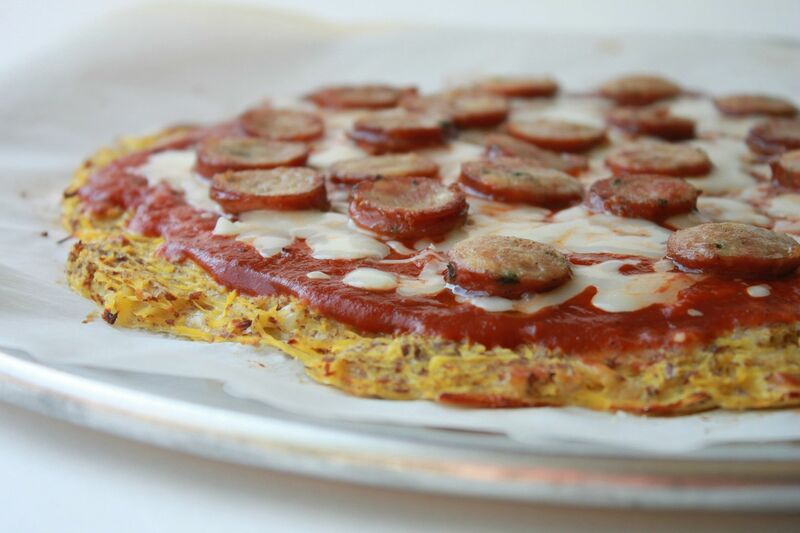 I love spaghetti squash and have never thought to do this. Genius! Curious as to which crust you prefer/like the best (cauliflower or squash)? Hi Lindsay! LOVE your recipes! So excited to try this one. However, I am very dairy sensitive since going paleo-- is there any way to leave the cheese out or substitute something else in place? If not, no worries-- I just REALLY want to try this recipe out! Thanks! Thank you so much!!! Honestly, this is one of my new favorite recipes. 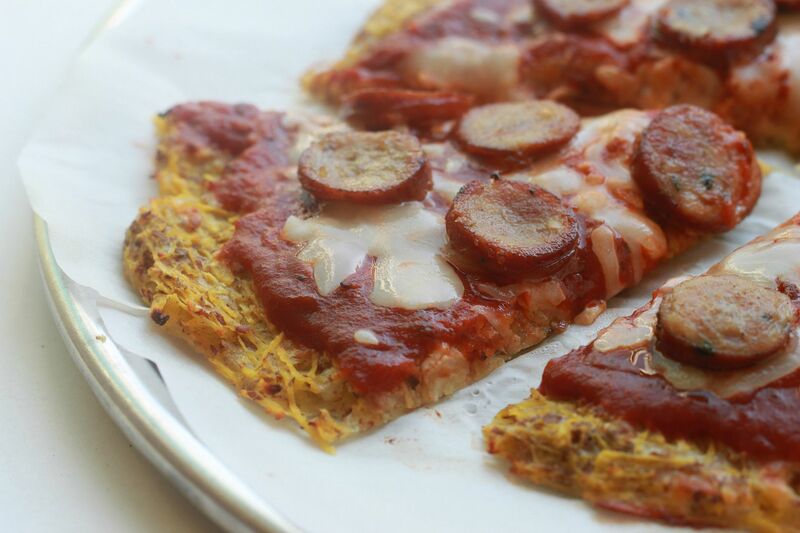 I was a little skeptical at how well spaghetti squash could be used for pizza crust, but it was almost like the real thing. I could pick it up to eat it, it held all of our toppings, and the crispy edges were to die for. I'm going to make several of them this weekend and freeze them for future use. This was so good!!!! 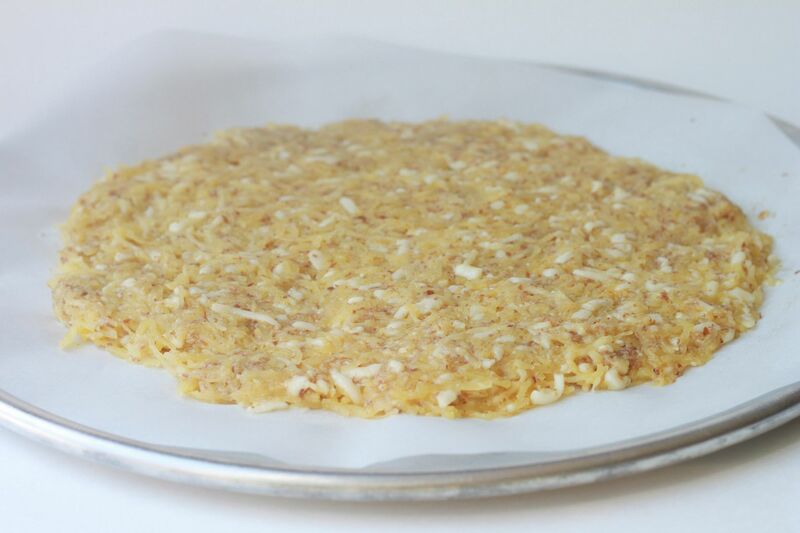 We like it better than the multiple cauliflower recipes (which were excellent) I have tried. Thank you!!! I have been playing with spaghetti squash and eggs and veggies as my latest favorite baked breakfast muffin. I can see this making a great pizza. Thanks so much for a great recipe. Hi! I was wondering if this crust can be made in advance (earlier in the day or the day before)? If so, how would you recommend storing until ready? OMG, this is so good. I made it with the coconut flour. Thank you. I made this with Cabot cheddar cheese instead of mozarella because Cabot is lactose free & used pesto sauce instead of red sauce since I can't have tomatoes. It was delicious! I made this but mine did not turn out crispy even if i baked it for 20 mins. If it's not crisping up, it's possible that there's too much moisture. 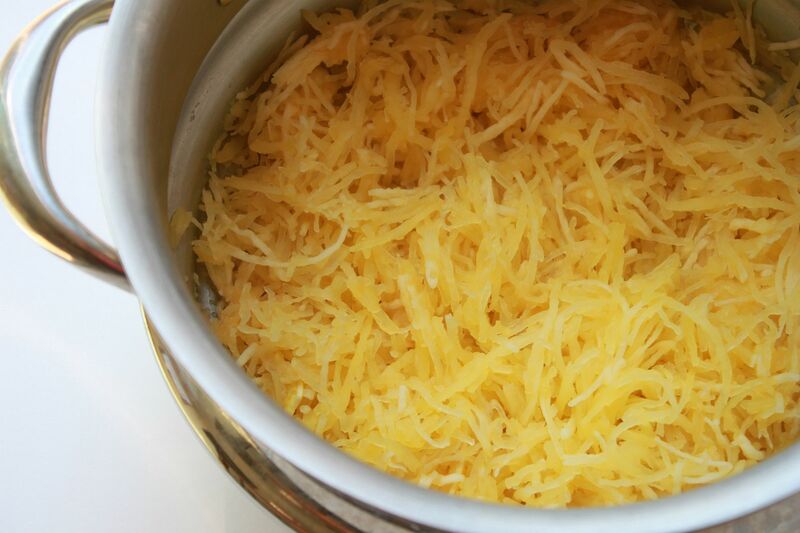 Try squeezing more liquid out of the squash before mixing, even if it looks dry. Trust, there's gold (water) in them thar hills. 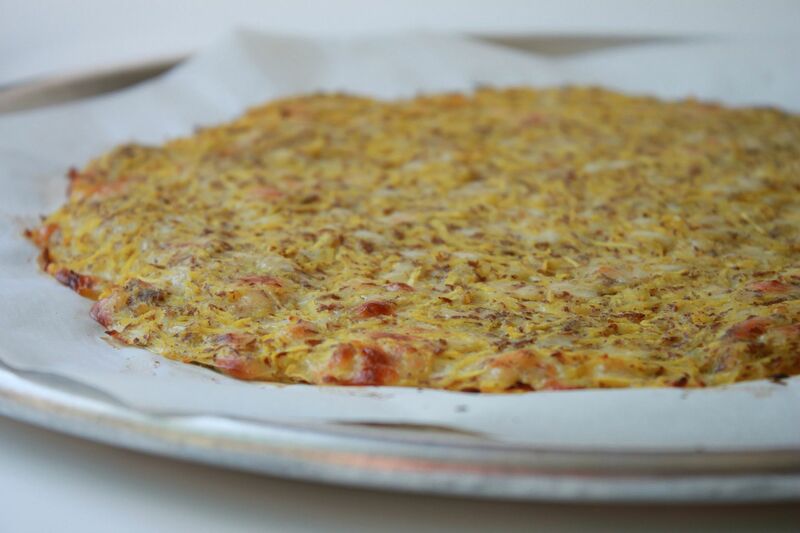 If the dough still feels too wet, you can add more flour (in this recipe, flax meal) and cheese. This goes for cauli crust too.